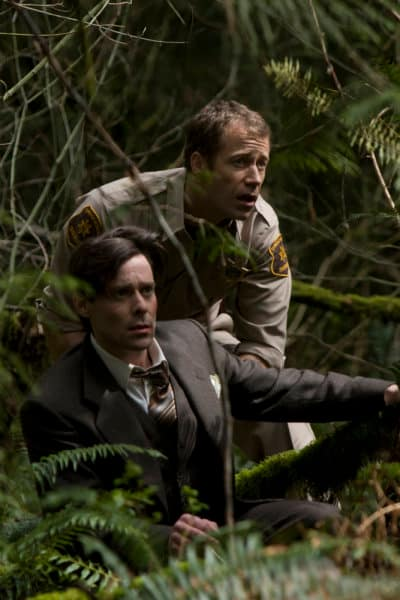 The first episode of Eureka’s fourth season started with your typical “previously on Eureka” moments. This is really no surprise as many shows do this to help us follow story lines. What I found odd about it was that it showed Carter and Tess breaking up via hologram discussion at Carter’s house. But I re-watched the season finale and it ended with her sending him a plane ticket to Australia. The only conclusion I could make was that there was a webisode or something that I completely missed. However, that small confusion aside this was a very good episode. The overall story was very well written and very well delivered. My favorite character in this episode was Dr. Grant, played amazing by James Callis (formerly Baltar on Battlestar Galactica). He did such an incredible job with the 1947 dialect/lingo/language. I love that he didn’t smear it on so heavily that it sounded forced.I know that Dr. Grant is back next week; I am not sure how many more weeks he will be on the show, but IMDB.com has him listed on at least nine of the episodes this season. All I can say is: right on! So, how about the big twist at the end? Everyone got back safe and sound but seemingly minor things were drastically different. Allison’s son Kevin was normal, Henry was married, Carter and Tess were living together, and last but not least, sadly Zane and Jo were not together at all. It really does stretch “The Butterfly Effect” to its limits. Just to clarify the term; It’s a term used about time travel movies based on the 1952 short story by Ray Bradbury, "A Sound of Thunder," where the killing of a butterfly during the time of dinosaurs causes the future to change in subtle but meaningful ways: (i.e. the spelling of English words was different). While this will make for a fun season, I really find it hard to believe that so many minor things changed without more major things. But, I am willing to ride along on this adventure, it has been a fun story so far, and I am excited to see where we go. However, this does bring up the question of fixing the things that have changed. Can they be fixed? In Ray Bradbury’s short story it couldn’t. However, more recently in Back to the Future, it could (mostly). But let’s not forget the bigger quest of should they be fixed? While Zane and Jo are not together, everyone else had had major positive changes (at least at a glance) in their lives. I know that they will need to send Dr. Grant back to 1955 (woops, wrong movie), rather 1947, that’s a given, but will that alone fix it? Any show that can get me asking this many question after the season premiere has clearly done a great job. What did you think? Do you want Allison and Carter together or Tess and Carter? How about Henry now being married? 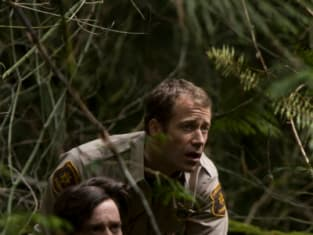 Check out a few Eureka quotes from the episode and sound off! Carter: You sure this is not some sort of science-geek-ren-faire thing? Allison: Well, either we are both having the same delusion or we are really stuck in 1947. Carter: What does a nanny have that I don't? Allison: A PhD in early childhood development with an emphasis on organic nutrition.